Extra 10% Off New Clearance Items. Discount applied in Cart. This picture is a gift for a woman that is hard to buy for. I added the batteries and turned on the lights on the tree and the way the lights flicker makes the picture so beautiful. As soon as it came I put them up on the wall! 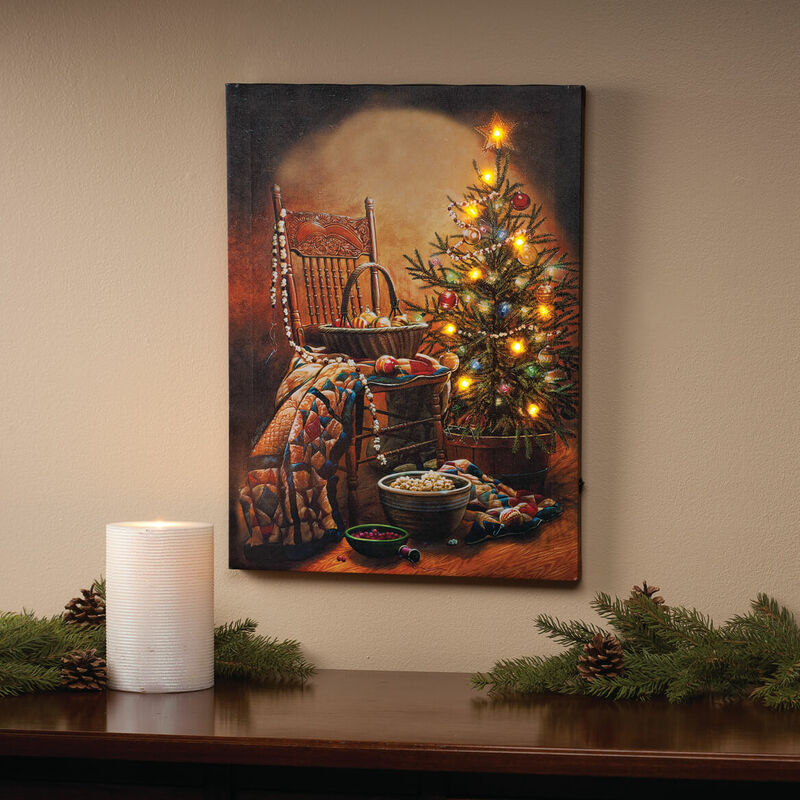 Love them, BUT I thought I ordered the Christmas Tree, and 1 candle ! I got 2 Christmas trees, I won't return it because it took a really long time to get my order! loved this during the holidays.. I bought 3 of these for family members as a Christmas gift. I put batteries I one to see the tree light up. This picture reminds me of when I was a small child and going to visit my grandmother. There isn't a bad word to say about this purchase. I know I will get a smile from an Aunt that never smiles when she opens this gift. If I knew how to change the batteries I would buy again. It's beautiful. The lights burn out quickly. Its a beautiful picture of what Christmas is about. 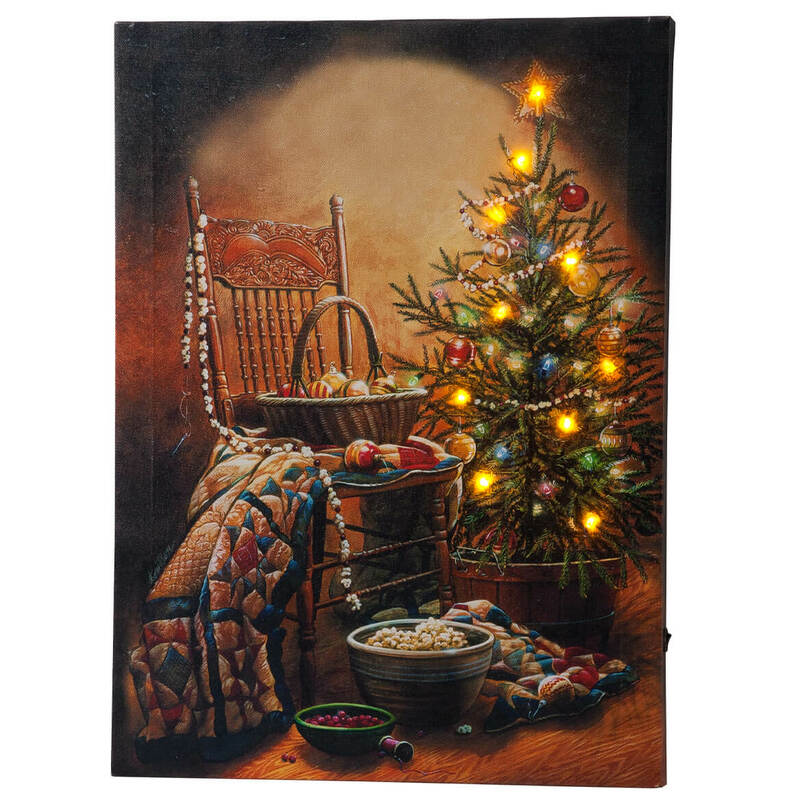 What happened to the boxed christmas cards of the same design of the lighted canvas by artist Doug Knudson? BEST ANSWER: Thank you for your question. Unfortunately we no longer carry that design. We hope this information will be of help to you.